Choosing to protect your family, home and belongings is a simple choice, but purchasing a residential alarm system for your home can be a complicated process. The wide variety of products, companies and post-installation service packages to choose from can make the decision to safeguard your home, with more than a locked door, feel overwhelming. Read on to learn everything you need to know that will help you make the best choice in security systems and companies when shopping for your home alarm system. Your home security system consists of a control panel (which allows you to activate and deactivate your alarms) and various sensors (motion detectors, door sensors and smoke detectors) placed around your home. In the event the home alarm system is tripped by a break in, fire or flood, the monitoring company will receiving immediate notification and proceed to dispatch the proper local authorities, such as the police or firefighters. A variety of home alarm systems are available to purchase on the market. They differ greatly in cost, installation, post-installation services, security coverage and security capabilities. Two primary differences in alarm systems are between those which are monitored and those which are not. Unmonitored alarms simply sound an alarm in the event of an emergency like a break in or fire. These alarms, however, are often ignored as false or sometimes, they are not heard at all. They are only effective if a homeowner is home and the responsibility of contacting the authorities must still be handled. Whereas, monitored alarm systems are connected to a monitoring system where professionals are readily available to respond to an alarm at your residence by notifying the proper authorities. Connected to smoke detectors, flood detectors and other sensors placed around your home, a monitored alarm system will trigger a response in almost any type of emergency. Monitored alarms are effective whether you are home to hear them or not. As a result, you can rest easy knowing your home is protected even when you are away. 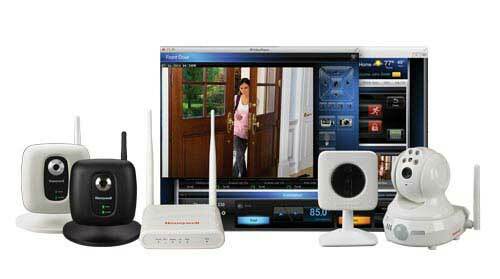 To learn more about monitored home security systems, we welcome you to contact Arpel Security Systems to speak with a residential security expert. We can help you select the right system and post-installation monitoring and support plan to best suit your budget and lifestyle. Whether you spend most of your time at home or the majority of your time away, a home alarm system will give you peace of mind.